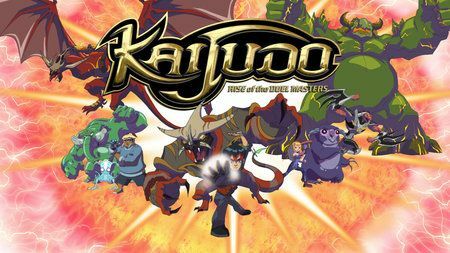 You will Watch Kaijudo: Clash of the Duel Masters Season 2 Episode 24 online for free episodes with HQ / high quality. Stream cartoons Kaijudo: Rise of the Duel Masters Episode 50 Clash of The Monarchs. The Duel Masters plan on freeing King Tritonus from The Choten in order to end the ongoing conflict in the Creature Realm. In order to do so successfully, they must gather Infernus the Immolator, King Tritonus, Almighty Colossus, Eternal Haven, and Queen Kalima together in the Null Zone and hold a “summit” among them to stop the rising war. As the Choten plans to make another attempt to claim the Monarch’s Artifacts, Ray must learn not to let the fire within him consume him following the Choten’s trick that involved the Spell of Liquid Compulsion.